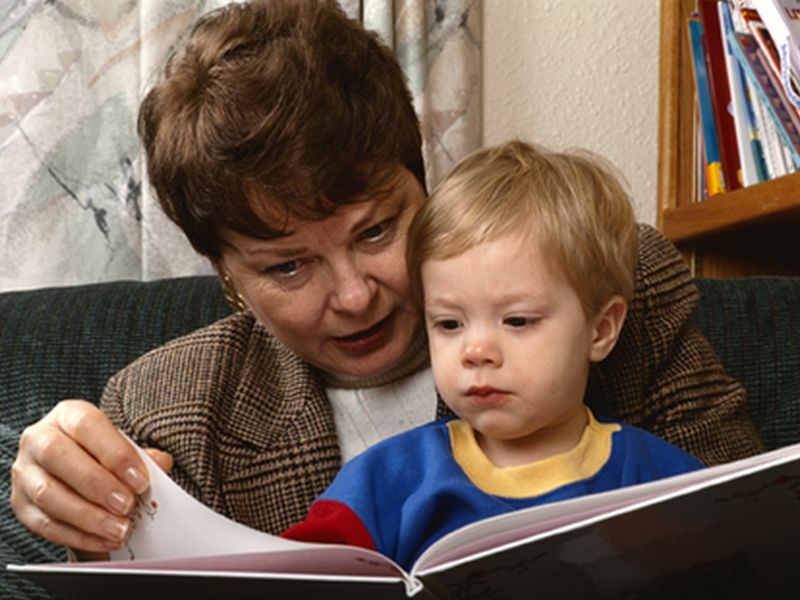 MONDAY, Aug. 7, 2017 (HealthDay News) -- New research supports the advice that it's never too early to start reading to a child. Children start to recognize and follow some rules of reading and writing as young as age 3, study findings reveal. The study included 179 U.S. kids aged just over 3 years to about 5.5 years. "Our results show that children begin to learn about the statistics of written language, for example about which letters often appear together and which letters appear together less often, before they learn how letters represent the sounds of a language," said study co-author Rebecca Treiman. She is a professor of child developmental psychology at Washington University in St. Louis. An important part of learning to read and spell is discovering how written letters reflect spoken words, Treiman explained in a university news release. But many people think learning to spell doesn't begin until kids start inventing spellings that reflect the sounds they hear -- for example, C or KL for "climb." Though those early attempts may be flawed, she said they clearly indicate kids are trying to use letters to symbolize what they hear. "Many studies have examined how children's invented spellings improve as they get older, but no previous studies have asked whether children's spellings improve even before they are able to produce spellings that represent the sounds in words," Treiman said. "Our study found improvements over this period, with spellings becoming more word-like in appearance over the preschool years in a group of children who did not yet use letters to stand for sounds," she said. The findings show that exposure to written words when children are 3 to 5 years old may help give them a strong start with their reading, writing and spelling skills, the researchers said.